Niall Kelly, MSc (Mgnt) MIITD ISATT, is an Organisational Consultant and teacher of the Alexander Technique. Niall was previously a Director of IBEC MidWest, and a Director of HR in international corporations in Ireland and Europe. He has many years experience in Industrial Relations, including acting as representative before the Labour Court and EAT. Niall was also the lead researcher and presenter for the Garda Superintendents Association during the Benchmarking process. He is a faculty member of the IMI and a programme leader on their GROW programme for SMEs. 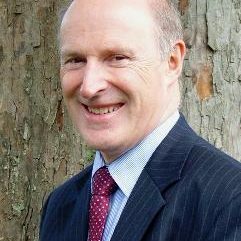 Niall is currently Chairman of the Irish Society of Alexander Technique Teachers, and has many years experience in developing teams, executive coaching and teaching the Alexander Technique. He teaches the Alexander Technique on the MA programme in Chant and Ritual Song in the University of Limerick and he leads workshops on Protecting Your Voice in the Classroom for teachers nationally. He also leads a Breath, Chant and Spirit Workshop in Glenstal Abbey.